Continuity mistake: The dinghy moves around (at one point they play Monopoly on it), then it disappears, and reappears. 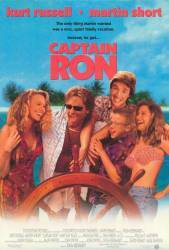 Plot hole: After Captain Ron gets fired, Martin mentions seeing Roscoe. How does he know who this person is? This is the first time we've heard Roscoe mentioned in the film. Sure we are then shown that Roscoe is the pimp for the prostitute but how did Martin know who he was? 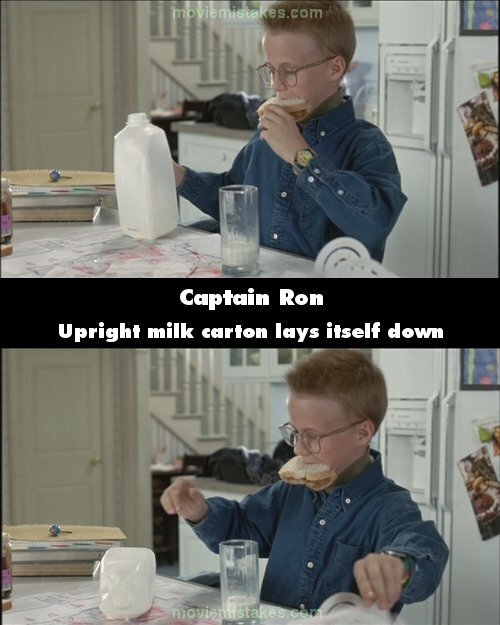 Captain Ron: Hey! Uh, leg feels a lot better now, boss. I always been a fast healer, you know. 'Course I believe in Jesus, so that helps.